Alle Preise enthalten für Bestellungen innerhalb der EU die jeweils gültige gesetzliche Mehrwertsteuer und sind für Bestellungen außerhalb der EU Nettopreise. Jede Lieferung zzgl. Versandpauschale. Lieferungen innerhalb Deutschlands sind ab 10 EUR versandkostenfrei. Bei Periodika sind Versandkosten inklusive. Änderungen vorbehalten. Bestellungen von Verbrauchern, die nicht dem Zweck ihrer gewerblichen oder selbständigen beruflichen Tätigkeit dienen, können innerhalb von 14 Tagen ab Erhalt der Ware widerrufen werden (Widerrufsbelehrung). Es gelten unsere Allgemeinen Geschäftsbedingungen. Bitte beachten Sie auch unsere Datenschutzerklärung. The facial skeleton is comprised of vertical and horizontal buttresses and the intersections they create; maxillofacial fractures occur when these buttresses sustain more force than they can withstand. The objective when managing these fractures is to reverse this damage and restore appropriate facial dimensions. Not all fractures propagate in the same pattern, so surgeons must compartmentalize the face and define the character of the individual bones. This book focuses on the face one bone at a time, outlining how to evaluate each type of fracture, the indications for surgery, the surgical management, and any complications. Specific protocols for clinical, radiographic, and CT assessment are included, as well as step-by-step approaches for surgical access and internal reduction and fixation. Isolated fractures are rare with maxillofacial trauma, and the author discusses how to sequence treatment for concomitant fractures to ensure the most successful outcome. 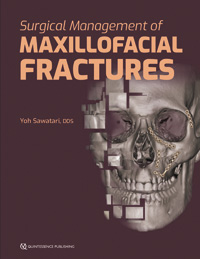 This book is a must-have for any surgeon managing maxillofacial fractures. Neugebauer, Jörg / Zöller, Joachim E.
Expert contributors have synthesized their standard decision-making processes into annotated diagnosis and treatment algorithms. Combining "at-aglance" understanding with authoritative discussion of the salient features of 100 pathologic entities, these treatment algorithms are especially valuable for residents, recent graduates, and others treating patients who present with therapeutic problems in the oral and maxillofacial region.